Matt Brand pulled a post about Steele Auto Group from his fake news website after the company issued him a stern lawyer's letter. Matt Brand's attempts at being funny became very serious on Wednesday. The Coldbrook, N.S., resident operates the website Brand Review, where he posts fake news stories in the vein of The Onion. A post he put up Wednesday making light of controversial plans by Steele Auto Group to redevelop a Halifax neighbourhood was no laughing matter for the company, however, which directed its lawyer to contact Brand. 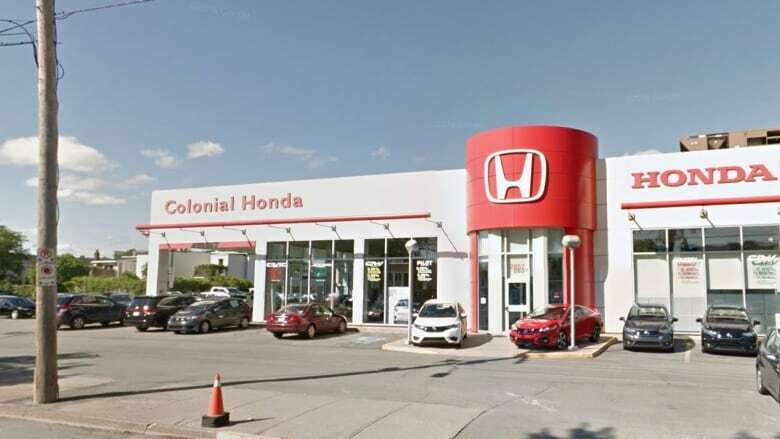 In the morning Brand posted a story titled "Steele Group launches Hondas not homes campaign," a reference to the actual group called Homes not Hondas, which is protesting the company's plans to demolish buildings surrounding Colonial Honda to expand the dealership's parking lot. By suppertime that day, Brand had an email from the company's lawyer. "My immediate reaction was kind of cold sweat, nervousness," he said on Thursday. "This is not something I deal with or ever thought I would be dealing with." In her letter to Brand, Nancy Rubin, Steele's lawyer, writes: "the entire article is factually untrue with fictitious quotes attributed to Rob Steele, president of Steele Automotive Group and David MacRitchie, COO." "To be clear, the fact that in small font at the bottom of your posting there is a hashtag '#satire,' does not make the posting defensible (even assuming that readers would see this and understand that it is a fake site)," she writes. "While you are free to express your opinions on matters of public interest, so long as they are based on true facts, the creation of an entirely false group page and fake quotes is indefensible. Even if considered 'satire,' satire is not protected speech in and of itself." Rubin's letter insists Brand remove the post from his website, as well as a Facebook group he created for the purpose of having a screen shot to go with the web post. Brand, a stay-at-home father of two, said that while he believes in freedom of speech and didn't want to remove the post, he simply does not have the resources to test the strength of the lawyer's argument. "I can't take on a company of that size so I just decided to let it go." Brand subsequently posted a disclaimer on his website about the situation as well as updating a section that clearly spells out that nothing on the site is real. This is the first time anything he wrote attracted legal attention, said Brand. He isn't sure why the company would be concerned about a site as small as his, especially when it seems clear the posts are intended as jokes, said Brand. "For me the website is a way of having a voice and kind of speaking out against things that I don't like or even just writing something funny," he said. "A lot of the things I write are totally ridiculous, you know; I've got one article with a cat lawyer named Johnnie Clawchran." Typically, posts on his site receive in the range of 100 views, said Brand, although one post about the provincial government spending millions of dollars to burn money, approached 5,000 clicks. "I'm just kind of always looking for some sort of little, I don't know, a twist on a story."